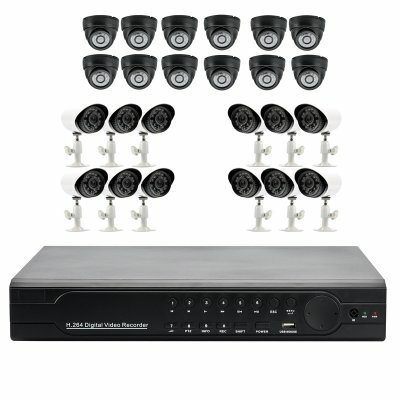 Successfully Added Security Surveillance DVR Kit - 1080p, 1TB HDD Included, 24 Channels, 12x Indoor Cameras, 12x Outdoor Cameras, IP66 Weatherproof to your Shopping Cart. 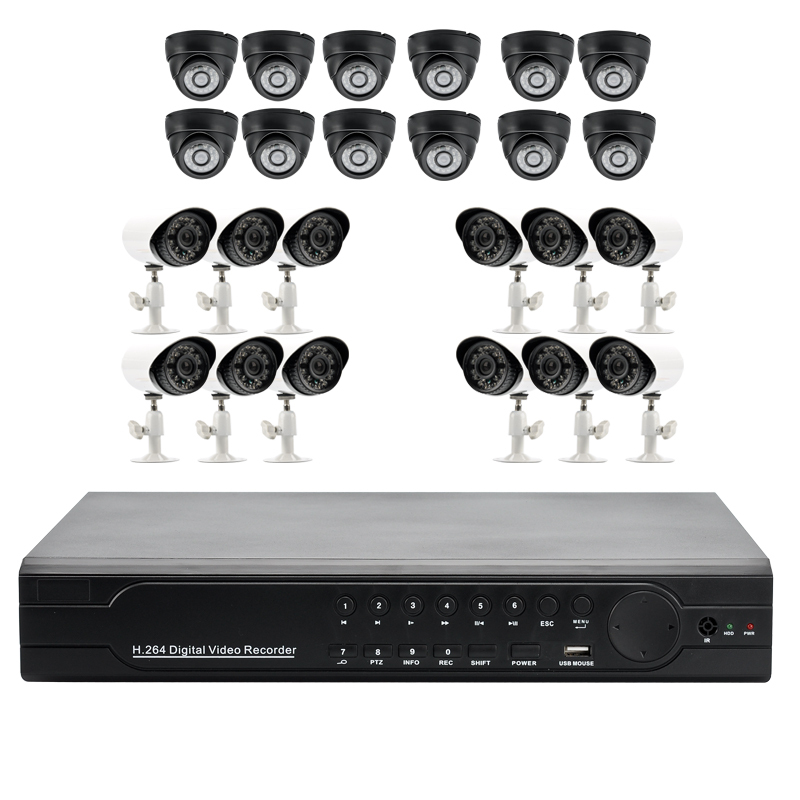 This Security Surveillance DVR Kit supports 1080p, has 1TB HDD Included as well as 24 Channels in addition to twelve Indoor Cameras, twelve Outdoor Cameras and a 15 Meter IR Distance. The Mecca of high security surveillance is now here at Chinavasion, and you can purchase it now and enjoy a greater protection at work, in the office, at the factory or in the school. This DVR supports up to 24 cameras, providing plenty of options to observe plus it actually comes with 24 cameras as part of the package. Boasting a high performance embedded microprocessor, this DVR has a selection of resolutions to choose from including 1280x1024 VGA, 1024x768 and 1080p HDMI. Plus all 24 cameras feed footage can be viewed at the same time as you can select 1, 4, 8, 16 and 24 display split. All footage as well is compressed into H.264 video format, which is incredibly popular among video distributors plus audio is compressed into ADPCM format. Inside there are two SATA ports where a single disk capacity supports up to 4TB; however to get you started we have included a 1GB HDD. There are 12 outdoor and 12 indoor cameras that come with a 1/4 inch color CMOS image sensor with a 3.6mm lens and 700 TVL high resolution. All the cameras have an emitter wave length of LED at 850nm as well as am IR distance of 15 meters so these cameras can capture everything even when there is low or limited light available. There is auto white balance and back light compensation plus the power consumption is less than 3W making them financially beneficial. A big bonus is that the outdoor cameras have a weatherproof rating of IP66 and can work in temperatures ranging from -10 all the way up to 80 degrees so they can be used in many environments. This product is in stock now, we guarantee next working day shipping and offer a 12 months warranty on all our products. Brought to you by the leader in electronic devices as well as wholesale Security Cameras and DVRs, Chinavasion. Electronic Shutter: 1/50 (1/60) ~ 100,000 Sec.